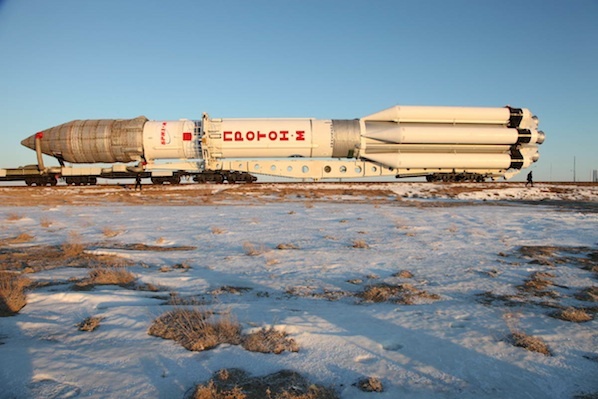 A Proton rocket rolled to its Kazakhstan launch pad Tuesday with a four-ton broadcasting satellite built to serve the Asia-Pacific region. The 191-foot-tall launch vehicle rolled out of an assembly hall early Tuesday on rails and arrived at the pad a few hours later. A hydraulic arm lifted the silver and white booster vertical on the pad. 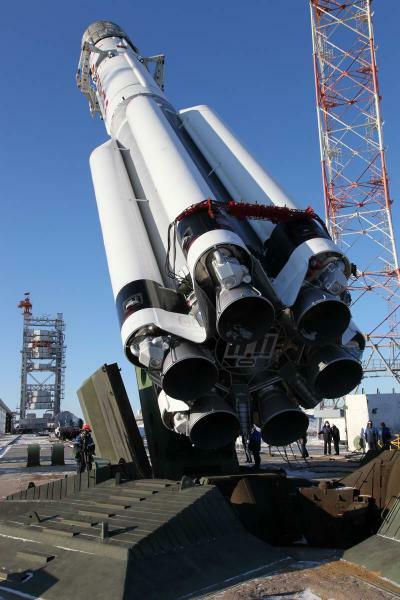 Liftoff is scheduled for Friday at 1910 GMT (2:10 p.m. EST). The mission's payload is the 8,406-pound AsiaSat 7 satellite. Built in California by Space Systems/Loral, the spacecraft features C-band, Ku-band and Ka-band communications equipment to serve the Asia-Pacific. AsiaSat 7 will support television broadcasting and VSAT and corporate networks. The satellite will be operated by AsiaSat of Hong Kong. 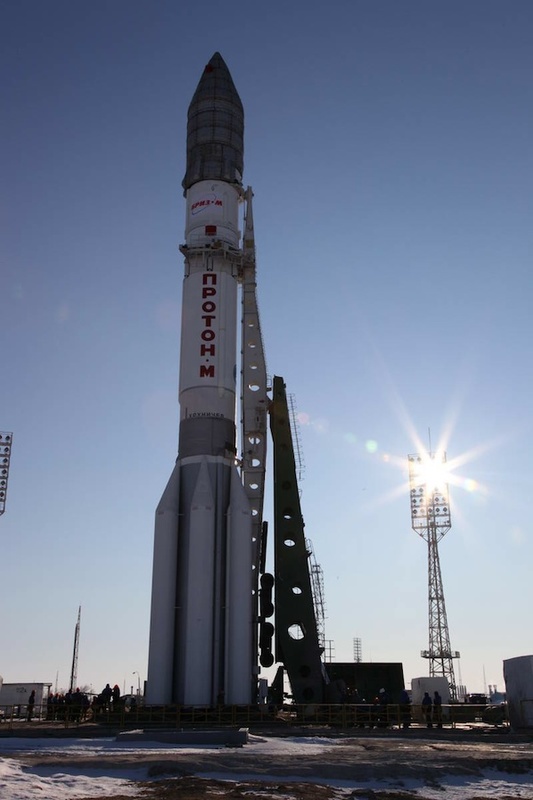 The Proton rocket's three core stages will loft a Breeze M upper stage and AsiaSat 7 into space in less than 10 minutes, then the hydrazine-fueled Breeze M will ignite four times to inject the payload into an oval-shaped transfer orbit high above Earth. The rocket is targeting a separation orbit with a high point of 22,112 miles, a low point of 8,583 miles, and inclination of zero degrees. Deployment of AsiaSat 7 is expected 9 hours, 13 minutes after liftoff.